3. URL of spoof website disguised by an image in the body of the image - a techqniue used to get past spam filters. 4. Spoof website traced to Herndon, USA. 5. Real URL obviously NOT Smith Barney.
" 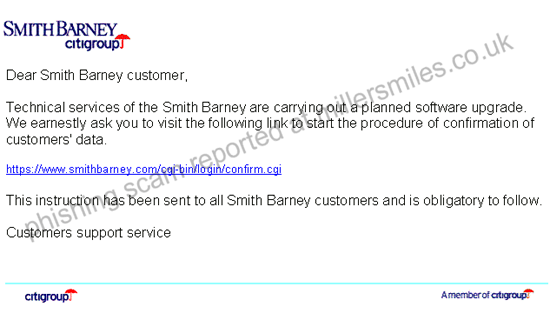 Dear Smith Barney customer, Technical services of the Smith Barney... "